Mormons Threaten To Leave Boy Scouts - Joe.My.God. 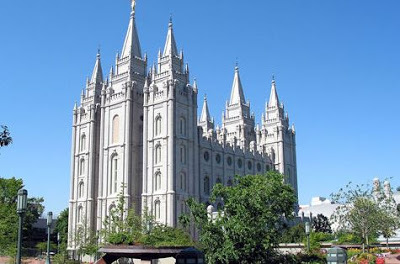 Last night the Mormon Church issued a press release in which they threaten to end their relationship with the Boy Scouts over the end of the ban on openly gay leaders. The Church of Jesus Christ of Latter-day Saints is deeply troubled by today’s vote by the Boy Scouts of America National Executive Board. In spite of a request to delay the vote, it was scheduled at a time in July when members of the Church’s governing councils are out of their offices and do not meet. When the leadership of the Church resumes its regular schedule of meetings in August, the century-long association with Scouting will need to be examined. The Church has always welcomed all boys to its Scouting units regardless of sexual orientation. However, the admission of openly gay leaders is inconsistent with the doctrines of the Church and what have traditionally been the values of the Boy Scouts of America. As a global organization with members in 170 countries, the Church has long been evaluating the limitations that fully one-half of its youth face where Scouting is not available. Those worldwide needs combined with this vote by the BSA National Executive Board will be carefully reviewed by the leaders of the Church in the weeks ahead. The Mormon Church is the nation’s largest sponsor of the Boy Scouts with over 30,000 LDS chapters comprising about 15% of total membership.